If you are someone who lives with pain every day, or if you know someone who does, you know it keeps you from enjoying the good things in life – time with family, enjoying a good meal, hikes in nature, playing tennis, golf or other sports, even working in the yard. Think how nice it would be to get out of bed – just one morning – without pain. Chronic Inflammation is a core reason that many of us experience pain. Chronic inflammation can be the cause of Arthritis, IBS, Fibromyalgia, knee pain, back pain, shoulder pain, foot pain, tendonitis and even heart disease. 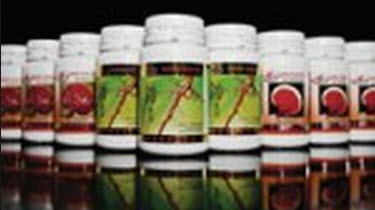 Gano Cafe is enriched with a very special herb called Ganoderma Lucidum (also known as Gano, Reishi or Lingzhi). As I researched Ganoderma Lucidum and Ganoderma Coffee, I learned that it has an amazing impact on chronic inflammation (as well as on the immune system, blood sugar, sleep, adrenals, acid reflux and more). There are over 700 medical studies documenting the benefits of Ganoderma Lucidum on PubMed.gov (the US National Library of Medicine) alone. 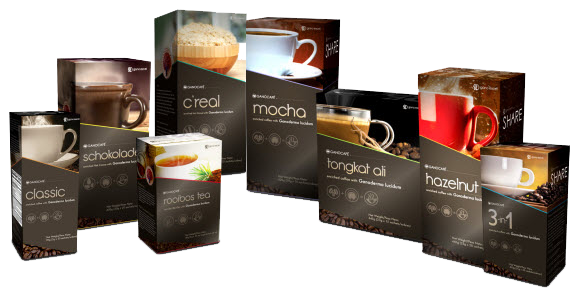 And as I did more research on it, I learned that people are having the best results with one of our Gano Cafe 3-in-1 Coffee, which is also one of our most popular flavors. 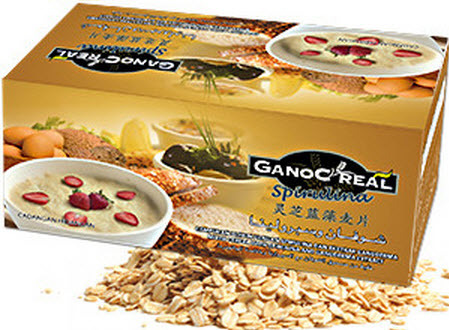 Gano Cafe is real coffee (Brazilian beans – fair trade, pesticide free), with a Ganoderma Boost. 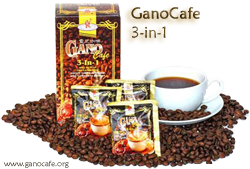 Gano Cafe contains a potent extract of Ganoderma that actually enhances the taste of the coffee. I’m one of those people who has had a lot of pain from inflammation, and adrenal issues as well, and I was told that it was important to eliminate caffeine from my diet. I struggled with that – one thing I really enjoyed – and one thing that even got me out of bed in the morning – was slowly waking up with a great cup of coffee. When I went off caffeine, my pain level was lower (but definitely not gone), and based on my energy levels, I could also tell my adrenals weren’t as stressed. But it *sucked* (excuse my french) to have to eliminate yet one more thing that I enjoyed. Can you relate? I was at a wellness fair one day, and one of the booths was promoting a “Healthy Coffee“. I was “off coffee” at that point, and almost didn’t look into this. But I kept seeing people gather at their booth, and I finally decided to check it out. Boy, am I glad I did! I know a lot of people are into the scientific research – and you can find that above – but what interests me most is what real people are experiencing. I started drinking this coffee, and not only did I get to enjoy waking up to a great cup of coffee again, I also experienced more health benefits drinking this coffee than eliminating caffeine from my diet. How great is that!?! I experienced reduced back pain (i.e., reduced inflammation), and some of the numbers on my blood tests, like cholesterol, blood sugar and triglycerides, started to look better. And most exciting to me was that my adrenals felt less stressed. I found a lot of information on great experiences other people are having – and I posted them on our Customer Reviews and Customer Video Reviews pages. To see other Video Reviews of Gano Cafe, click here. If you’re in excruciating pain, you should definitely watch Dexter’s video. If you love coffee, and want to drink a coffee that won’t cause additional inflammation, and that may actually help reduce your inflammation, give Gano Cafe a try. To shop in our online store, click here, or click on the link below. And if you’d like to know more about Ganoderma Lucidum and Gano Cafe, take a look at some of the other articles on this blog, or click here to read more about this revered herb in Chinese Medicine. I am interested intrying this product. Will it be found in local grocery stores or Health Food Stores? Usually the only way you can purchase it is online, although every so often an independent health food story does carry it. We have links for going to our online store to purchase the products, and we have links for going to Amazon.com to purchase the products. If you’d like to learn about how to get wholesale pricing, just go to our Affiliate Program menu, and you’ll see what’s available. guest authoring on other websites? I have a blog centered on the same ideas you discuss and would really like to have you share some stories/information. I have just recently discovered your website. Many thanks for the great information!